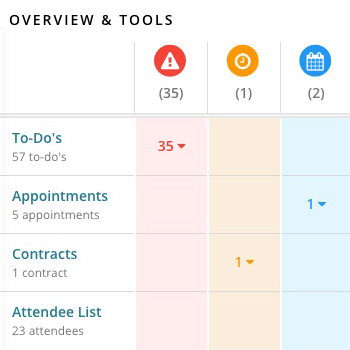 Our online tools are built to simplify how you manage details and attendees for corporate events and meetings of any kind. Build online meeting registration forms to collect fees and information from attendees. 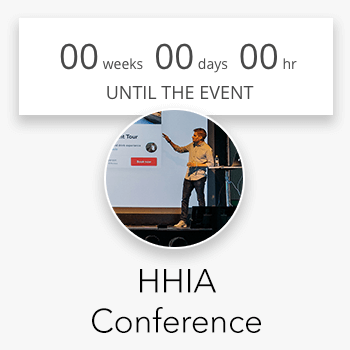 Create single-page event websites that look great on any device. And much more. Providing your attendees with a simple way to sign up for your meetings is paramount to increasing attendance at your events. That's why we have built easy-to-use tools for you to create intuitive registration forms. Add multiple ticket types and variations for many types of registration scenarios. Collect additional information for each attendee. And provide them with relevent details and documents once they register. After you collect registration information, our attendee management tools give you complete control over all the information provided by attendees, including payments, contact details, meal choices and more. You can even download spreadsheets with attendee information and formatted name badge documents for printing out badges. With our meeting website builder, you can create professional websites for your evetns that look and work great on any device, including tablets and smartphones. Intuitive drag-and-drop tools make it easy to drop images, text blocks, galleries, videos and schedules into place. Add location panels to direct attendees to your event venues. Use social sharing tools to link to your social media pages and to allow site visitors to instantly post about your meeting to Twitter, Facebook and LinkedIn. Optimize your site to be found on search engines. Customize the URL address of your site or use your own domain. And choose from a wide variety of fonts and colors to match your meeting's theme. Our meeting website tool integrates with our meeting registration system so you can collect registrations directly from your meeting websites. Attendees can simply fill out the registration form via the site you build in Planning Pod, or you can also embed the form into another website that is hosted elsewhere. Planning Pod offers much more than just meeting registration software and websites. For example, through our meeting planner website you can create detailed, to-scale floor plan layouts for all your event table and seating setups. 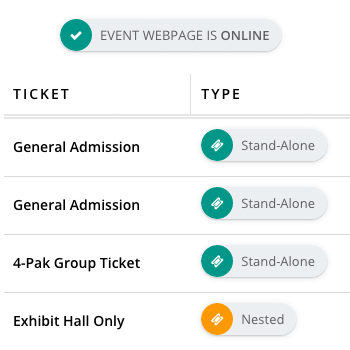 This feature integrates with the attendee list tool so you can create assigned seating arrangements by dragging and dropping registered attendees onto seats. Our meeting planning website also features productivity tools for managing tasks, calendars, checklists and files ... event planning tools for creating event schedules, budgets and worksheets ... and collaboration tools for building electronic forms, sharing visual concepts and tracking messages and notes. Thousands of meeting professionals and a wide variety of organizations - including companies, trade associations, educational institutions and non-profit organizations - rely on our meeting registration services and management software every day. Here are just a few of the reasons why they prefer Planning Pod. Create tickets for each meeting or corporate event with pricing options, maximum quantities, descriptions, expirations, more. Build and post your meeting registration form on the website you create using Planning Pod ... or embed it into an external site. Collect and manage details for every registered attendee, including registration and contact information, meal choices and more. Use our meeting check-in app at the door to check in attendees. Plus effortlessly accept registrations and payments on site. Collect registration information from attendees when they sign up, including meal choices and answers to customer questions. Create a unique URL address for every event website you create. Or purchase and use your own domain name for each site. Customize the title tags and meta descriptions for your meeting websites so your sites can gain visibility with search engines. Use a privacy filter to require site vistors to enter a password before being able to view a corporate event or meeting site. Add large, colorful images to your event websites as well as galleries for displaying key participants, speakers or features. Add one or more locations (and location details) associated with your meeting. Integrates with Google Maps to display an on-site map of the location. Display a detailed program of your meeting and also a countdown clock ticking off the minutes until your event kicks off. Choose from a number of Web-friendly fonts and a rainbow of colors so your meeting website design matches your event theme. Track your site traffic by syncing your Planning Pod site to your Google Analytics account.